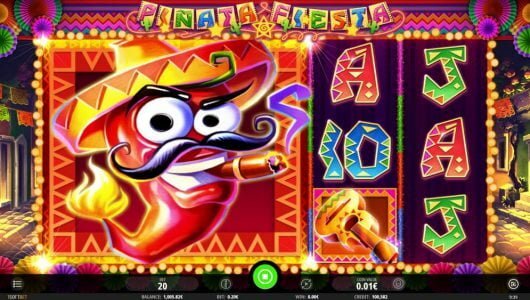 RealTime Gaming’s (RTG) Cash Bandit 2 online progressive jackpot slot machine features 25 paylines and 5 reels. 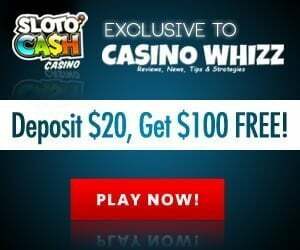 It’s the sequel to the acclaimed Cash Bandits (https://casinowhizz.com/slots/cash-bandits-slot-review-rtg/). If you’re looking for a progressive with funny visuals this game will put a smile on your face and hopefully tons of cash in your pocket. 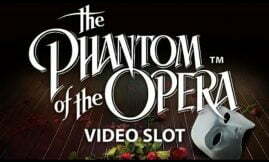 The slots has been released in June 2017. 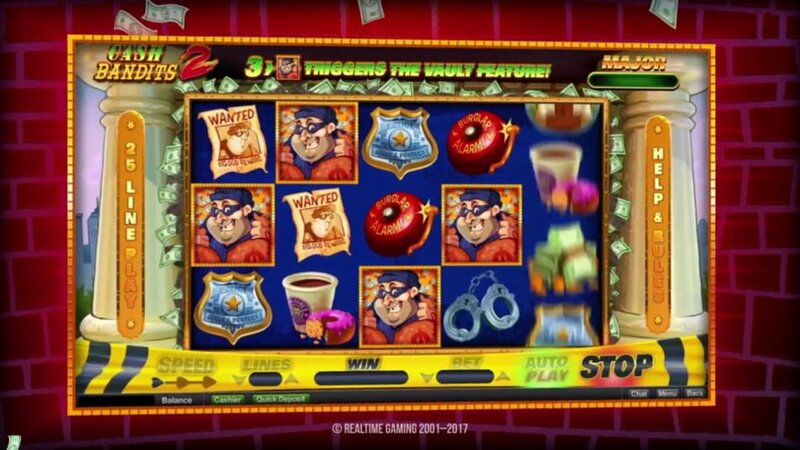 The theme of the progressive slot is about cops and robbers. Against the backdrop of the reels you’ll see 2 huge pillars and the bank which the wacky crooks plan on robbing. Cartoon like paying symbols that appear on the reels are handcuffs, cops, bags full of cash, wanted posters and police badges. If we have to compare Cash Bandits 2 to its predecessor the good news is that it has way more rewarding bonus features. Aside from a whopping progressive jackpot of 50,000 coins; players can win up to 190 free spins with 17x multipliers plus it comes with 2 random jackpots! The progressive slots offers an average return to player percentage (RTP) of 95.3%. With 25 adjustable paylines it’s best to play with all paylines activated since it gives you the best odds at winning. The amount of coins you wish to wager can be increased or decreased by clicking on the ‘Up’ or ‘Down’ arrows. 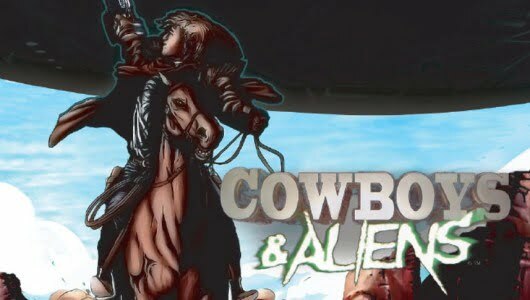 The game is playable on mobile phones (iOS Apple, Androids or tablets) and PC desktops. You’ll win a cash prize if you hit at least 3 matching symbols on the reels. There are 2 progressive jackpots, a ‘Major’ and ‘Minor’. Both jackpots can be randomly triggered at the end of every spin. The game’s logo is the wild symbol which completes a winning combination when it substitutes the other symbols except the scatter (Robber). The nice thing about the wild is that it also appears in clusters offering you multiple winning combinations. The ‘Vault Bonus’ feature is initiated by 3 scatter robbers, they can appear any position across the reels. Once triggered you’ll be given codes which you must crack to unlock the 5 vaults. You’ll receive 5 free spins with a 2x multiplier where all wins are doubled. 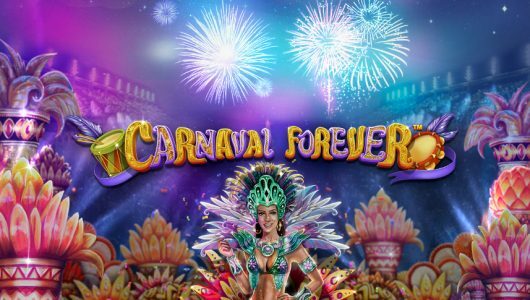 It’s a smashing free spins feature which awards up to 190 free spins along with multiplier wins of 17x! 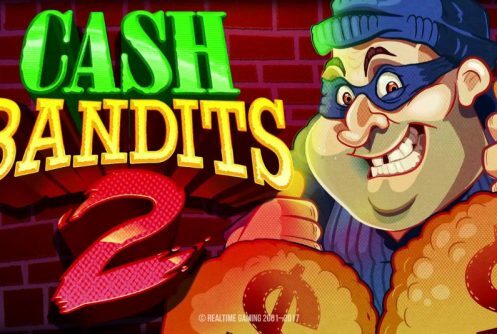 RTG’s Cash Bandits is a high octane affair which gives you the opportunity to ‘rob’ eh sorry to win some serious cash. Of course you must bust those bank faults first. By way of payouts it’s not only better than its predecessor but way more entertaining. On your way to the bank catch the free spins feature but we must warn you it takes a couple of real money spins to unlock its riches.